Sweet!! 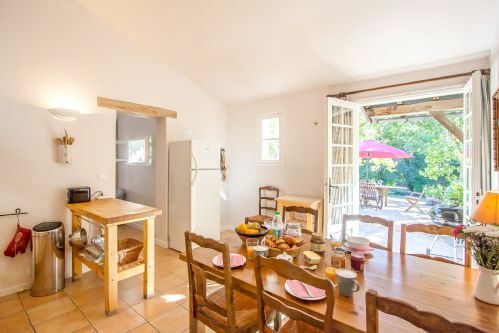 Families are in for a treat at these three lovely gites in the Lot region of South West France. 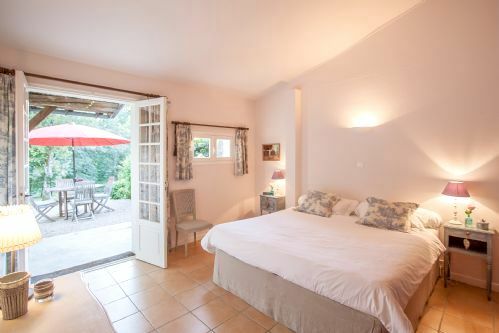 When the owners, Marion and Ray first came here in 2010, they knew Domaine de la Dolce was just the place to create the baby, toddler and child friendly haven they dreamed of and that’s precisely what they’ve done. 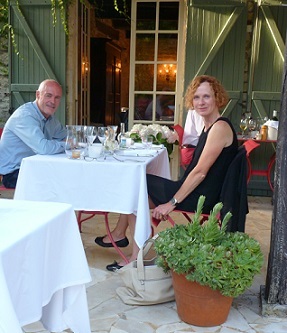 Their effort paid off and in 2013 all three gites were awarded with 3 stars by "Atout France", the official French body for hotel, gite and chambre d'hôte classification. 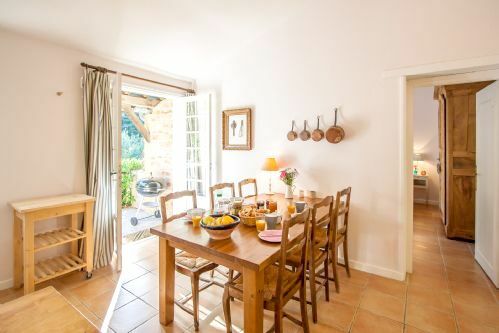 Perfect for parents to chill out while the youngsters make new friends, Domaine de la Dolce nestles in a pretty and peaceful wooded glade, where only birdsong and the sound of gleeful, giggly children break the silence. 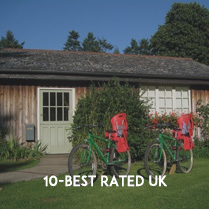 A meadow in front of the gites provides plenty of space for them to play with all the bats, balls, hoops, skittles etc provided as well as trikes, ride on toys, a tipi and other outdoor games; paddling pools and soft play mats are provided for babies. Venturing into the trees beyond the meadow, young imaginations can really run wild as they discover the shady woodland play area including swings, a sandpit, climbing tower slide and a play house with a kitchen – perhaps the gingerbread house or grandma’s house straight from the fairy tales? Deer can sometimes be spotted shyly peeping through the trees and the twit-t’woo of owls can often be heard from dusk and in the star-studded darkness. 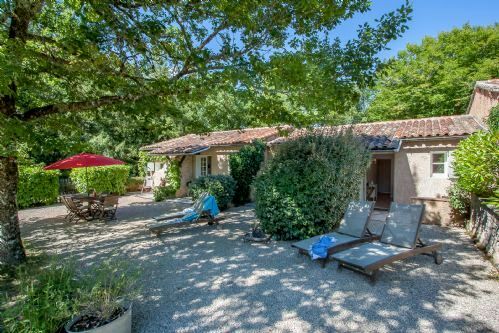 Besides having the meadow and woodland for children to play, Domaine de la Dolce has an 11.5 x 5.5m heated swimming pool, which is salt-filtered to be kinder than chlorine to skin and eyes. 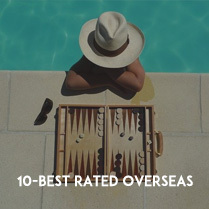 The pool is fenced, with child proof gates and surrounded by a crazy-paved terrace with sun loungers and sun umbrellas so grown-ups can catch some rays while the children splash around with an array of inflatables. On the rare days when the weather isn’t great at Domaine de la Dolce, the fun and games simply shifts indoors to a fab play room which the owners have filled with a fantastic collection of toys and activities for tots to teens, from building bricks, dressing up clothes, a huge blackboard and soft toys to board games, books, table football, table tennis and a library of DVD’s. 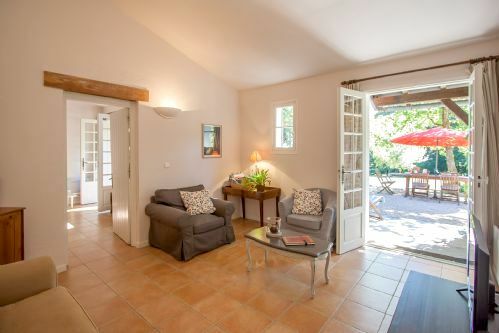 While the kids are happily occupied, parents can indulge in a spot of pampering with deep tissue massage, pedicures, facials and other treatments available at the gites courtesy of a local beauty and holistic therapist. 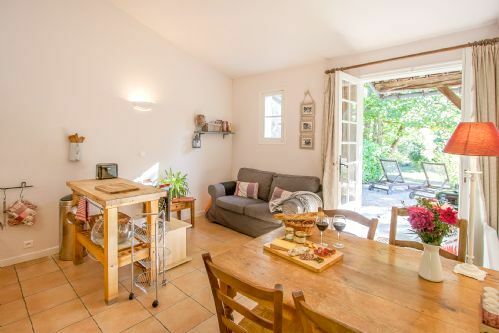 The three gites are all on ground level which makes things nice and easy for toddlers to totter in and out through French windows to their own hedged patio and the meadow beyond. The interiors are airy and contemporary, with comfy living rooms and bedrooms with blackout curtains, well equipped kitchens and a long list of baby and toddler equipment. The owners provide a welcome basket and some basic essentials to get families started, plus a special gift for children, appropriate to their age. Pre-arrival shopping can be arranged and if mum or dad doesn’t fancy cooking on the evening of arrival, parents can also order a scrummy quiche made by a lady from the local market. Domaine de la Dolce comprises 1 x 2-bedroom gite, La Luciole; 1 x 3-bedroom gite, La Girolle; and 1 x 4-bedroom gite, La Sauterelle. 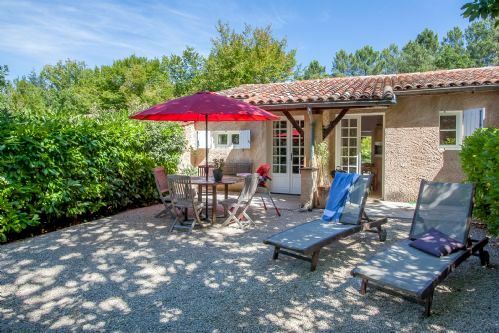 All of the gites are on the ground floor and have French windows to their own south-facing, gravel patio which opens out to the meadow beyond as well as being hedged on two sides for privacy and equipped with sun loungers, dining table and Weber BBQ. 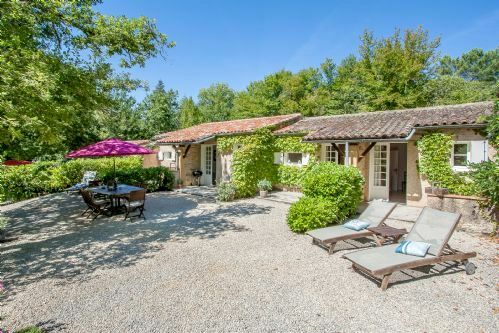 La Girolle (85 sq m) is a spacious, 2-bedroom, 2 bathroom gite, with an optional additional ensuite double room in an annexe, to accommodate up to 6 people plus babies. There is space for a cot, which can be provided, in either the master or children’s bedroom. French windows lead from each of the kitchen/dining room, the living room and the two main bedrooms onto the patio and the meadow beyond. La Girolle also benefits from its own fenced garden with a sand & water play-table and other garden toys. 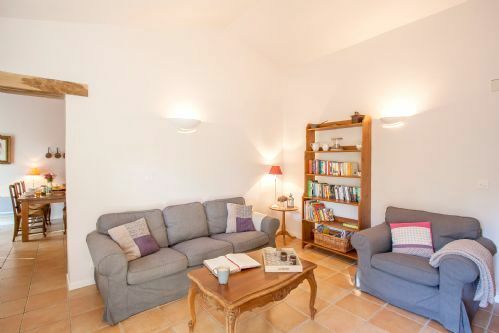 The spacious living room is furnished with a squashy sofa and armchair, satellite TV with English channels and a DVD player, plus families can make use of the free Wi Fi. 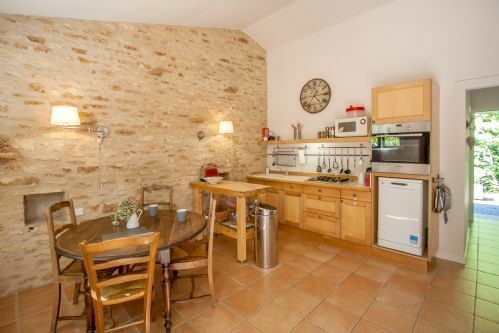 The large and airy kitchen/dining room features a lovely exposed stone wall, antique dining table that seats 4-6 and all mod cons including a fridge/freezer, microwave, dishwasher, hob and oven, plus all the crockery, cutlery and kitchen equipment families would need, including plastic cups, plates and cutlery for little guests. The gite has an iron and ironing board. Two washing machines and a tumble dryer are provided for in the shared laundry room. 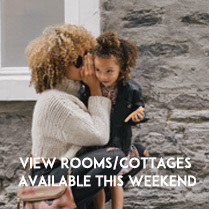 The large master bedroom is furnished with a Super King size bed, an antique wardrobe and a chest of drawers to provide ample storage space, plus the French windows have curtains with blackout linings for longer lie-ins, if little ones allow it! The ensuite has been newly renovated to luxurious standards and features his-and-hers basins, WC and a large walk-in rain shower, with additional hand shower attachment. 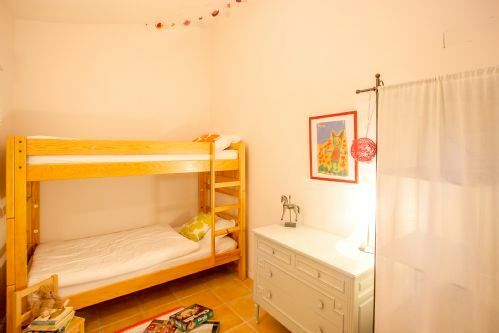 The children’s bedroom has a sturdy wooden bunk bed, wardrobe, chest of drawers and black out lined curtains. Its ensuite is also newly renovated and features a freestanding bath, washbasin and walk-in rain shower, with additional hand shower attachment. 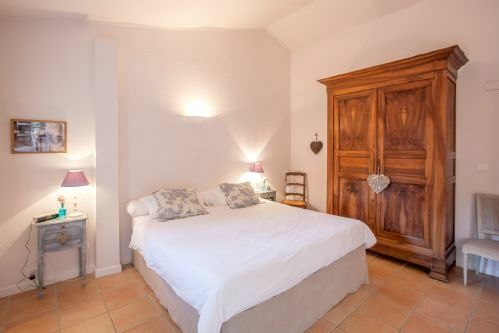 The annexe is attached to the gite but has its own entrance; it has a double bedroom with ensuite bathroom - ideal for grandparents, family friends or a nanny. 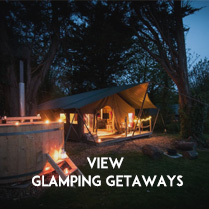 Sleeps 4 - 6 (6, with annexe) + infant in 1 x king size bedroom and 1 x bunk room. Toulouse (2h) and Bordeaux (2h 30min); low cost flights are available with Flybe and Ryanair from regional airports across the UK. There are sandy lake beaches 30 mins drive away at Montaigu-de-Quercy. Shared heated and fenced pool with terrace and sun loungers plus inflatable toys. A range of treatments including a deep tissue massage, pedicure, facial or other beauty treatment can be arranged in the privacy of your own cottage with a local qualified Beauty and Holistic therapist. The playroom has been recently refurbished with many new features (e.g. soft floor mats), making it baby and child friendly and a wonderful area for little guests to play. 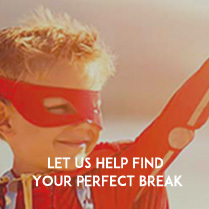 There are toys for all ages, dressing up clothes, a baby gym, ride on toys, books for children and parents, board games, table football, table tennis and games for outdoors. English speaking babysitter available in the evening by prior arrangement. 4 x travel cots, highchairs, Bumbo seats, booster seats, baby gym, soft play mats with toys, changing mats, baby baths, bath seat, bath thermometers, bath toys, anti-slip bath mats, baby bouncers, baby monitors, steriliser, bottle warmer, breast feeding pillow, potties, nappy bins, toilet seat reducers, bed guards, socket covers, bibs, plastic crockery, plastic cutlery & sippy cups, food blender, microwave, and baby backpack carrier. Bath toys, kids books, puzzles, general toys (like cars, babies, building blocks, Lego etc),U-rated kids DVDs, table football, huge blackboard, soft toys for little ones and dressing up clothes. pre-arrival shopping service; dinner on arrival (locally homemade quiches for example). Buckets and spades, ride-ons, trikes, swings, sand pit, slide, climbing poles, paddling pool, play house with kitchen, Tipi, table tennis, ball games and crocket. Sun terrace with loungers and dining area. 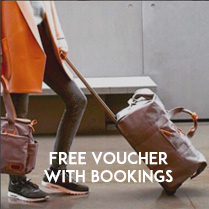 Multiple travel cots and highchairs can be provided.